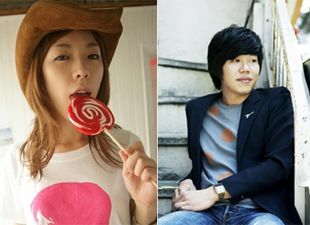 Talented singer Yozoh (real name Shin Soo-jin) has reportedly broken up with Lee Sang-soon after nine months of dating. According to related sources on April 26th, "There wasn't some special reason for it, but they just slowly drifted and ended up breaking up. They've decided to remain as friends". The two started hanging out with mutual friends June of 2010, and eventually started to have feelings for each other, turning into a couple. The two even did a duet song together on Yozoh's album that was released last December. Known as the "Hongdae Goddess", Yozoh isn't just a singer, but has started her acting career as of late too. She's acted in "Cafe Noir" and "Come, Closer". As for Lee, he's a singer for the band Rollercoaster and even started a project group with fellow singer Kim Dong-ryul.